You are buying the First Quality Prevail Protective Underwear MD 34"-46" PV-512 80/cs - Model #PV-512 from First Quality. First Quality is a leading manufacturer of incontinence products including briefs, liners, underwear, diapers, and underpads. At ADW Diabetes, we do our best to offer the complete product line by First Quatliy with discounted pricing up to 60% off retail. 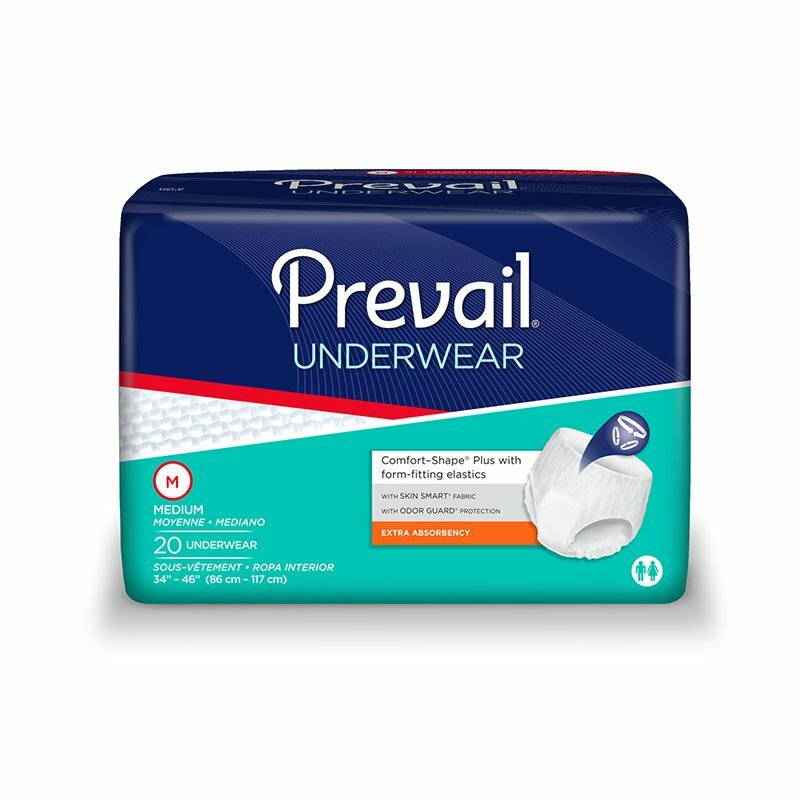 First Quality Prevail Protective Underwear MD 34"-46" PV-512 80/cs - goes beyond protecting from leakage associated with moderate leakage associated with urge and mixed incontinence. It has improved efficiency by reducing odors and promoting skin health. Advanced discreet core technology has exceptional performance with added comfort and discretion. First Quality Prevail Protective Underwear provides maximum leakage protection and comfort. Easy-Lock Fastener Strips and Tabs - Strips and Tabs grip and hold without being sticky. The entire outer cover is a refasten zone, allowing for multiple tab refastening for improved fit, accurate sizing and cost savings through reduced waste.